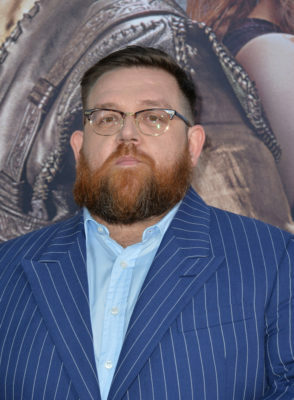 Nick Frost is headed to the badlands. Deadline reports the Shaun of the Dead star has been cast in season two of Into the Badlands. The AMC martial arts drama takes place centuries into the future in a feudal society called the Badlands. The cast includes Daniel Wu, Marton Csokas, Orla Brady, Sarah Bolger, Aramis Knight, Emily Beecham, Oliver Stark, Madeleine Mantock, and Alexia Ioannides. In season two, Frost “will play Bajie, a man with questionable morals and who’s always looking for the quick score, he is an irreverent and unlikely new ally to Sunny (Wu).” AMC has not yet announced the premiere date for season two of Into the Badlands. What do you think? Are you a fan of Nick Frost? Have you seen Into the Badlands? This is a great show, I’m glad they are bringing it back and he will make a good addition to the show. We’ll see what happens. I need more information than they are giving us.